Sausage Party appears on tap to a strong summer performer. In it’s first weekend the film earned $34 million dollars, was a critical success, and showed us that a R-rated animated comedy could shake up the marketplace. The most impressive thing about Sausage Party is that it’s one of the few animated films with this kind of reception that hasn’t come from Disney or Pixar. Some backlash is entering the fray, as Nitrogen Studios seemingly cut corners when treating their employees. The Canadian company is currently suffering controversy as anonymous reports from online forums and comments sections reveal possible unfair treatment put on animators, and artists on the project. Employees reported poor working conditions like unpaid overtime, unrealistic time quotas and multiple staffers being blacklisted from the final production. The lack of inclusion was what made animators lash out as their hard work went un-noticed. A majority of the animation staff allegedly had their names omitted from the final credits, though if you’re interested the names of staffers are available on IMDB. Those who weren’t named were either unfairly left out of the credits, or not listed after leaving production. 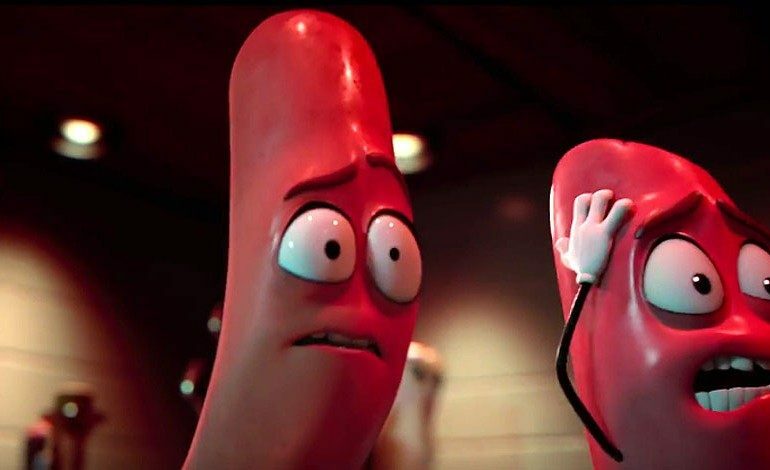 Sausage Party director Greg Tiernan has tried to denounce these accusations claiming that they are without merit, and that Nitrogen Productions abides to the regulations. ““These claims are without merit. Our production adhered to all overtime laws and regulations as well as our contractual obligations with our artists,” retorted Tiernan. The allegations from anonymous staffers have come into notice by Nitrogen, but for now we don’t know if they will be appropriately compensated, or if this fiasco gets swept under the rug. Seth Rogen has already said that he would be interested in a sequel to Sausage Party, but if this comes into play the studios should do it right. If the reports are correct than they will have to make some serious changes for their human rights. Slightly ironic that a movie about food may have resulted in a large staff of starving artists.